The title refers to free-to-play trappings. Just kidding. The release of the latest and greatest Need for Speed is just around the corner, but before you write off the mobile racers out there, you might want to consider Need for Speed: No Limits, a wondrously lax free-to-play racing endeavor that may very well be giving the big brother console edition a run for its money. With a cavalcade of cars, plenty of events to complete, and a ton of in-game currency to boot, this is one exciting racer you'll be thinking twice about overlooking. You're joining an underground syndicate of street racers in Need for Speed: No Limits, as it hearkens back to a simpler time you may have seen in games like Need for Speed Underground or Need for Speed: Most Wanted. Your goal is, of course, to become the best you can be by competing against the Blackridge Royals street gang and rising through the ranks as quickly as possible. You'll start with some fairly low-key rides, but as you earn money, parts, and even cars as you progress you'll be smoking the competition in no time. This plays like your fairly standard Need for Speed game, with quick sprints to the finish, time trials, "don't scratch it" delivery races where you've got to deliver a car in the best shape you can, and straight races where you've got to come in first. All of these races will net you in-game currency, cash, parts, and more so you can stay on top of the competition. Starting events takes gas, which you can very easily purchase with a small amount of gold earned in-game, and every time you level up your reputation you'll get a gas refill. If you play long enough at a time, you'll come around full circle by placing first in events so you won't even have to worry about paying for features. It's honestly one of the least obtrusive free-to-play games I've played in quite some time, and that's impressive coming from EA. There's no need for you to spend real cash at the very least for the first 7-10 hours of the game, and while races can get a little more difficult from then on, if you play your cards right and continue to do well when you're faced with harder challenges, you won't have to pay a penny out of pocket. That, and the racing itself is buttery smooth, with gorgeous graphics that wouldn't be out of place on a PlayStation 3. It's clear EA and the team at Firemonkeys wanted to create a title that can be viewed as a real companion to the upcoming console title. 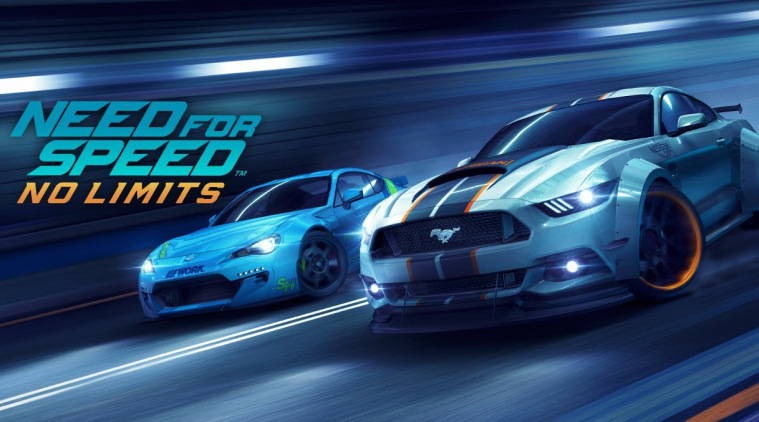 If you're a fan of arcade racing or looking to add another mobile racing title to your collection, you could do a whole lot worse than Need for Speed: No Limits. In fact, I'd recommend it as a primer for what's to come in the full-sized version of what will likely be a very similar racer for the current-gen consoles this November.